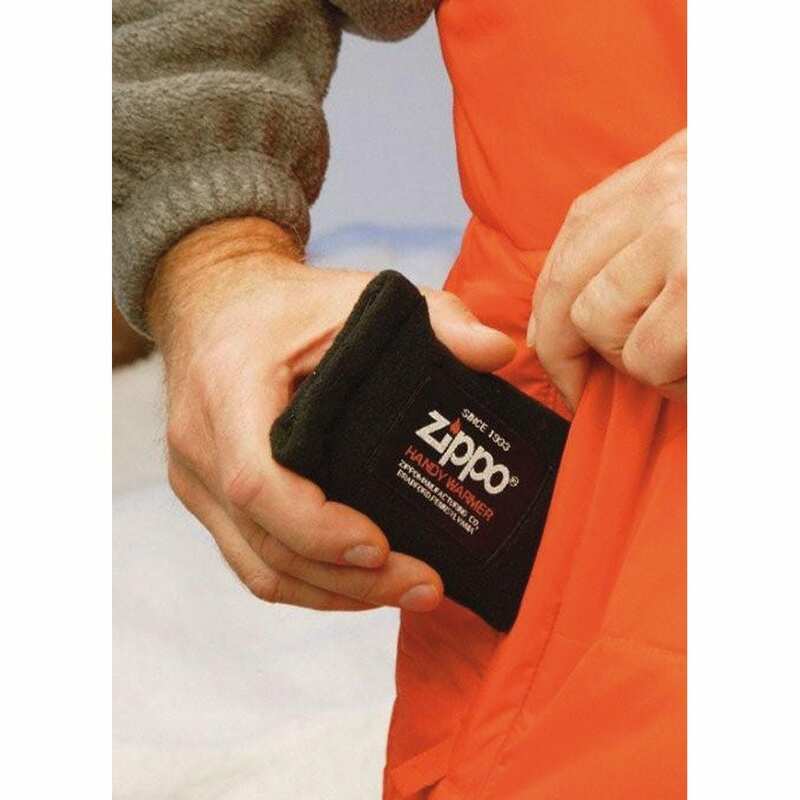 The Zippo Hand Warmer is an amazingly efficient mini heater that fits neatly into any sized pocket and is used to warm the hands and body on cold winter days. You want to be able to enjoy the Great Outdoors even when it's cold outside. And that's why Zippo built their rugged, metal hand warmer. 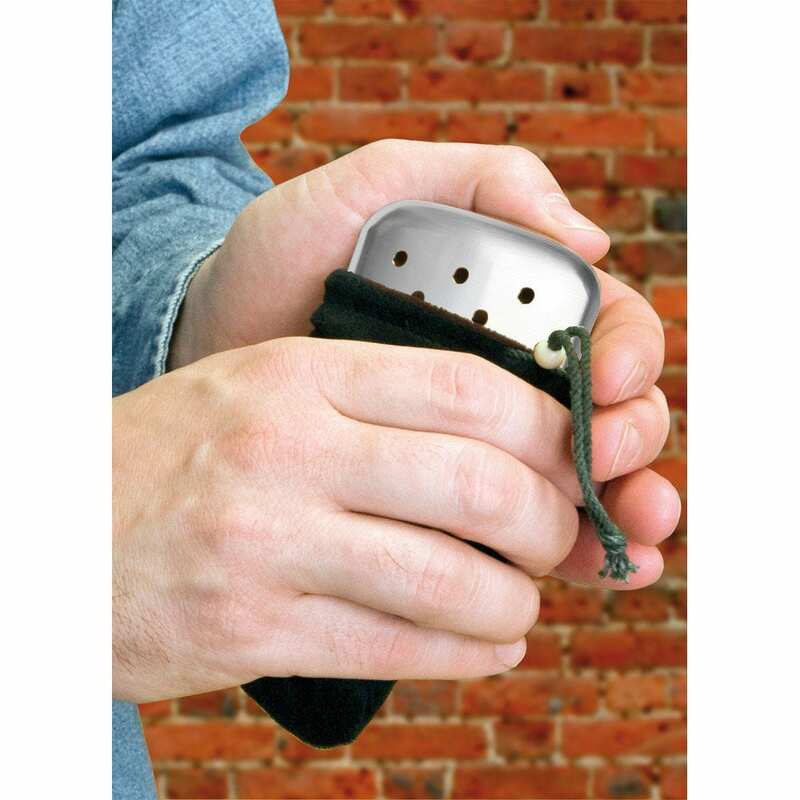 The Zippo Hand Warmer is built for winter warriors; it features a sleek and compact design, and fits easily into pocket, gloves and trousers, without the bulk of other handwarmers. 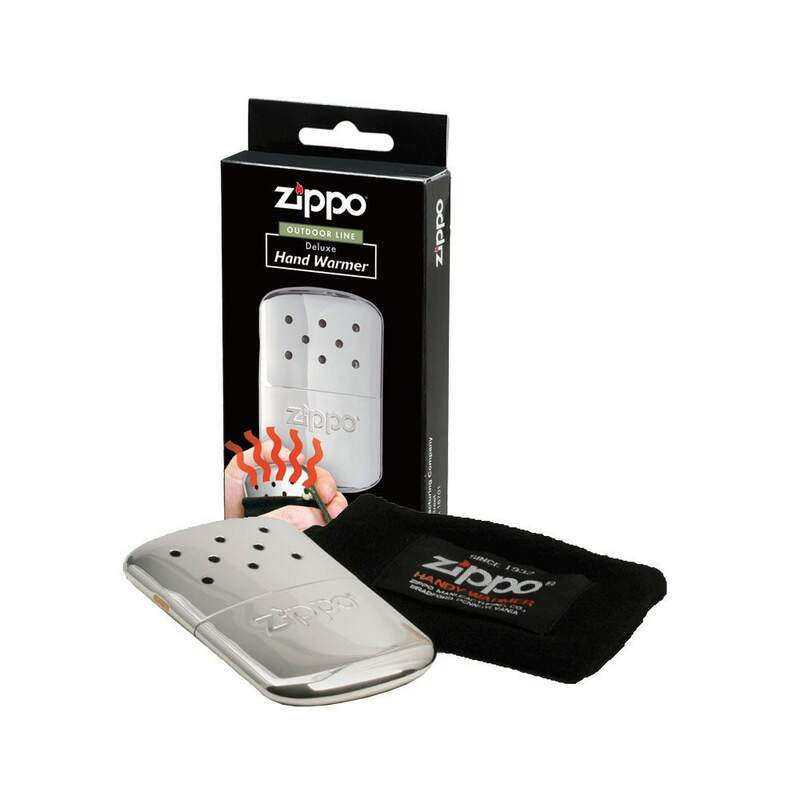 The Hand Warmer uses Zippo premium lighter fluid to produce more than 10 times the heat as tradtional models and lasts for up to 12 hours. 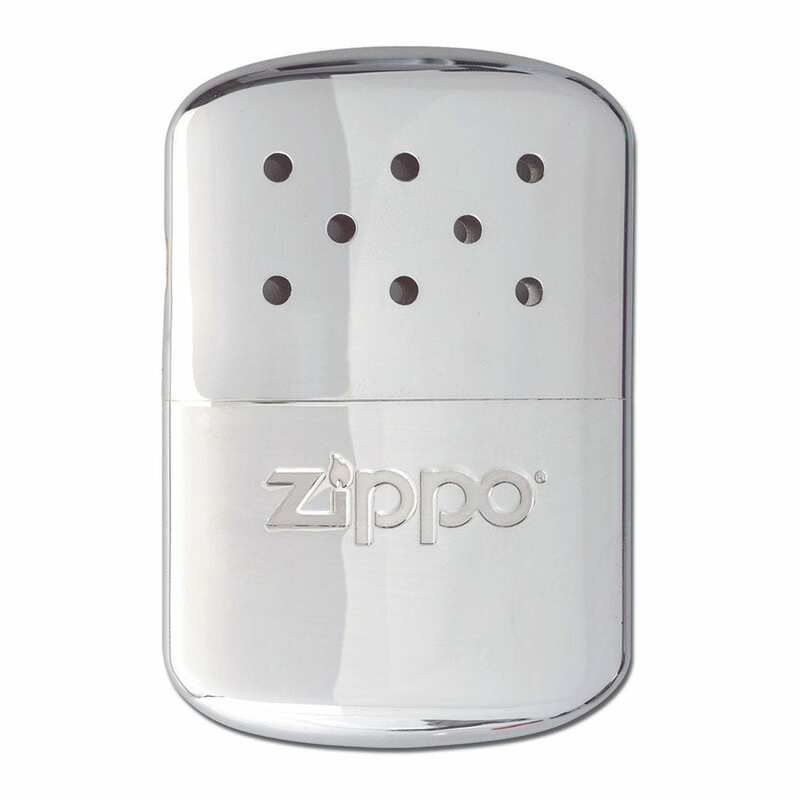 Plus, it's reusable with Zippo lighter fluid and includes a convenient filler cup and warming bag. 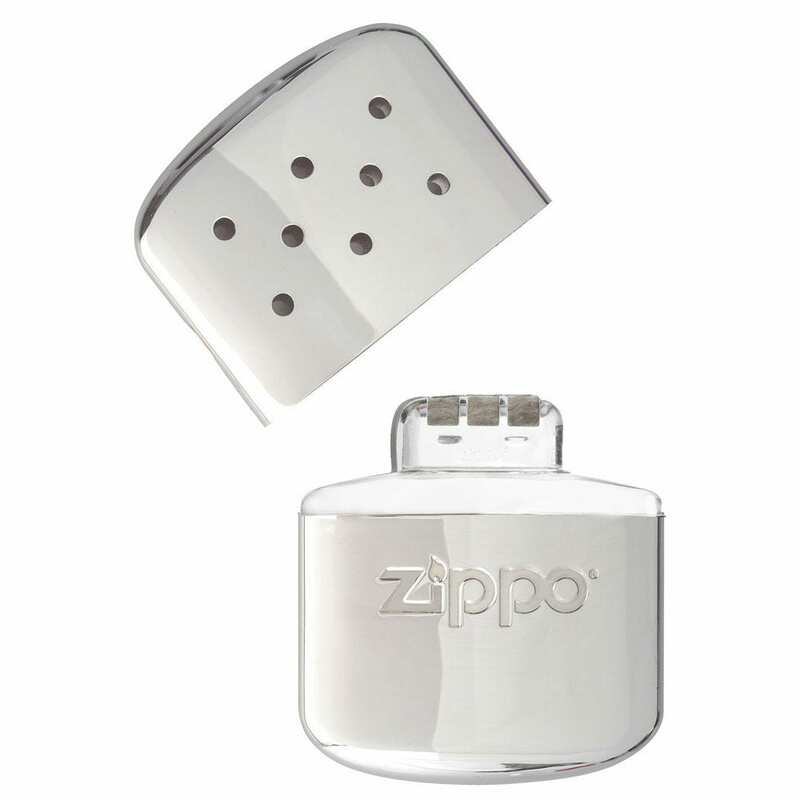 The Zippo Hand Warmer is made from strong Stainless Steel so it is built to last, and comes with a limited 2 year guarantee. It generates its heat via a detachable catalytic burner unit which is expendable and not guaranteed. The catalytic burner usually last 70-80 uses and should be replaced periodically. 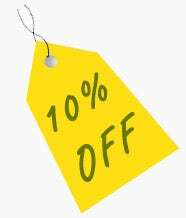 It is exactly what you need to keep winter at bay and perfect for outdoor activities such as golfing, fishing, and hiking, or simply walking to work. Ideal for hunting, ice fishing, skiing, snowmobiling, and outdoor sporting events. 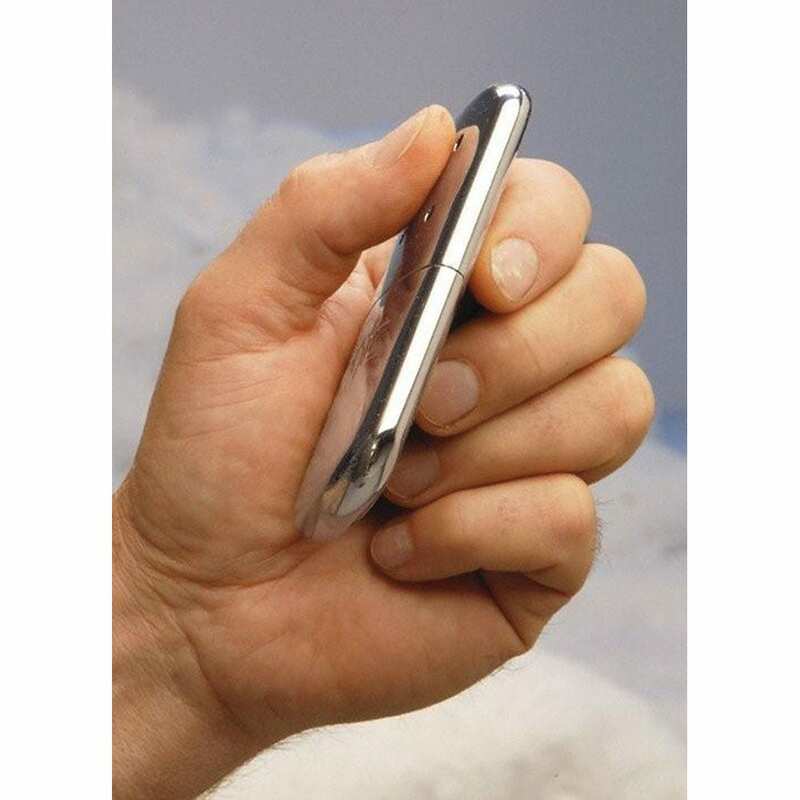 Hand Warmers are shipped without lighter fluid. Please add lighter fluid before using.